Pentagon under fire for guidelines that liken war reporters to ‘belligerents’| 10 Aug 2015 | Defenders of press freedom have accused the Pentagon of endangering journalists with new legal guidelines that liken war correspondents to spies and say they can be treated as “unprivileged belligerents” in some circumstances. The details were buried in the Department of Defence’s 1176-page Law of War Manual, which was published in June. The manual says journalists, in general, are civilians. However, it adds that in some circumstances they might be considered “unprivileged belligerents” – the same broad category that includes guerrillas or members of al-Qaeda [al-CIAduh]…It also sets out conditions under which journalists’ work will be censored. U.S. sends six jets, 300 personnel to Turkey base in Islamic State fight | 09 Aug 2015 | The United States sent six F-16 jets and about 300 personnel to Incirlik Air Base in Turkey on Sunday, the U.S. military said, after Ankara agreed last month to allow American planes to launch air strikes ‘against’ Islamic State militants [I-CIA-SIS] from there. 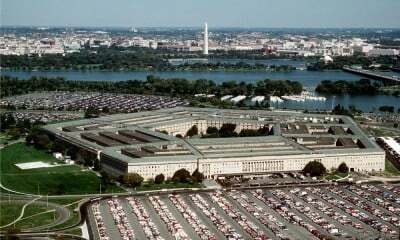 The Pentagon said in a statement the “small detachment” is from the 31st Fighter Wing based at Aviano Air Base, Italy. Support equipment was also sent but no details were provided. Truck Bomb Kills at Least 76 at Market in Baghdad’s Sadr City | 13 Aug 2015 | At least 76 people were killed and 212 wounded in a bomb attack on Thursday at a market in Baghdad’s Sadr City district, police and medical sources said. The bombing was one of the largest attacks on the capital since Prime Minister Haider al-Abadi took office a year ago.” A refrigerator truck packed with explosives blew up inside Jamila market at around 6 a.m. (11 p.m. ET on Wednesday),” police officer Muhsin al-Saedi said. Attacks on army, police and U.S. special forces kill 50 in Kabul | 08 Aug 2015 | A wave of attacks on the Afghan army and police and U.S. special forces in Kabul have killed at least 50 people and wounded hundreds…The bloodshed began on Friday with a truck bomb that exploded in a heavily populated district of the capital and ended with an hours-long battle at a base used by U.S. special forces. It became the deadliest day in Kabul for years. The Islamist insurgents claimed responsibility for both the police academy attack and the battle at the U.S. special forces base, though not for the truck bomb. Dozens of retired generals, admirals back Iran nuclear deal | 11 Aug 2015 |Three dozen retired generals and admirals released an open letter Tuesdaysupporting the Iran nuclear deal and urging Congress to do the same. Calling the agreement “the most effective means currently available to prevent Iran from obtaining nuclear weapons,” the letter said that gaining international support for military action against Iran, should that ever become necessary, “would only be possible if we have first given the diplomatic path a chance.” The release came as Secretary of State John F. Kerry said U.S. allies were “going to look at us and laugh” if the United States were to abandon the deal and then ask them to back a more aggressive posture against Iran. Anonymous attacks Israeli government over death of Palestinian toddler | 11 Aug 2015 | Hackers today attacked the website of the Office of the Prime Minister, that of the Israel army and that of a number of ministries and government departments. In a statement, the international group of hackers known as Anonymous said this was “because the Palestinian toddler’s voice was not heard…” The operation, #WasBurnedAlive, part of the greater #OpIsrael, started approximately 9 hours ago. At the time of writing, most of the websites were still down. U.S. consulate in Turkey targeted as wave of attacks kills 9 –At least 10 injured in police station bombing | 10 Aug 2015 | Two women shot at the U.S. consulate in Istanbul on Monday and at least nine people were killed in a wave of separate attacks on Turkish security forces, weeks after Ankara launched a crackdown on Islamic State [I-CIA-SIS], Kurdish and far-left militants. The NATO member has been in a heightened state of alert since starting its “synchronised war on [of] terror” last month, including air strikes against Islamic State fighters in Syria and Kurdistan Workers Party (PKK) militants in northern Iraq. It has also rounded up hundreds of suspected militants at home. John Kerry to raise US flag at Havana embassy | 14 Aug 2015 | The US secretary of state is to raise the American flag at the recently restored US embassy in Havana, another symbolic step in the thawing of relations between the two cold war-era foes. The ceremony, raising the flag over the building for the first time in 54 years, comes nearly four weeks after the US and Cubaformally renewed diplomatic relations and upgraded their diplomatic missions to embassies. While the Cubans celebrated with a flag-raising in Washington on 20 July, the Americans waited until John Kerry could travel to Havana. Chelsea Manning could face solitary confinement at military prison | 13 Aug 2015 | Chelsea Manning, a soldier imprisoned for leaking classified U.S. information to pro-transparency site WikiLeaks, could face solitary confinement on charges she violated prison rules by having prohibited reading material, her attorney said on Wednesday. Manning was convicted in 2013 of providing more than 700,000 documents, videos, diplomatic cables and battlefield accounts [of myriad US war crimes] to WikiLeaks, in the biggest breach of classified materials in U.S. history. Manning has been charged with a number of disciplinary infractions and will attend a hearing before a three-person discipline adjustment board on Aug. 18 at the prison, attorney Nancy Hollander said. The alleged disciplinary infractions on July 2 and July 9 included attempted disrespect, the possession of prohibited books and magazines [?] while under administrative segregation, medicine misuse pertaining to expired toothpaste and disorderly conduct for pushing food onto the floor, Hollander said. China explosions: death toll rises to 50 as troops dispatched to assist cleanup | 13 Aug 2015 | Elite military units trained to deal with chemical, nuclear and biological disasters have been dispatched to the site of a deadly explosion in northern China, where fires still smouldered in a landscape of destruction more than a day after the original devastating blasts. At least 50 deaths have been confirmed and 701 people admitted to hospital with injuries — 71 of those said to be “severe” — after a fire at warehouse containing “dangerous chemicals” sparked a series of blasts on Wednesday night. Four vehicles carrying more than 200 soldiers trained to deal with nuclear, biological and chemical catastrophes were dispatched to Tianjin, which is around 100 miles from Beijing. Utah Transit Authority to conduct TRAX terrorism exercise at Salt Lake airport | 11 Aug 2015 | What would happen if a terrorist attacked a light-rail train along the Wasatch Front? The Utah Transit Authority, along with various other agencies, will test emergency response protocols during a live-action drill scheduled Wednesday. UTA, in conjunction with the Utah National Guard 85th Civil Support Team, the FBI Joint Terrorism Task Force, Salt Lake City International Airport, Salt Lake City Fire Department and the Salt Lake City Police Department will conduct the exercise called “Operation Green Cloud.” The exercise will be a six-hour, full-scale emergency response drill simulating an attack on a Green Line TRAX train. No to GMO: Scotland to outlaw growing of GM crops | 09 Aug 2015 | Scotland says it will ban genetically modified crops on its soil. According to officials, the move will protect the environment. They are also taking advantage of new EU laws, allowing member states to decide whether they want to grow the crops or not. Although the EU imports large quantities of GM crops from abroad, it is less sure about growing them on their own soil. Some environmental groups are worried about the impact they could have on the countryside, while there are also concerns over health issues for humans, despite producers of the crops insisting they are safe. Hillary Clinton to give private email server to Justice Department | 11 Aug 2015 | Democratic presidential candidate Hillary Clinton is giving the U.S. Justice Department her private email server and a thumb drive of work-related emails from her tenure as secretary of state, a spokesman for her campaign said on Tuesday. Clinton’s use of her private email for her work as America’s top diplomat came to light in March and drew fire from political opponents who accused her of sidestepping transparency and record-keeping laws. The private account was linked to a server in her New York home. Jimmy Carter Says He Has Cancer, Revealed by Recent Surgery | 13 Aug 2015 | Former President Jimmy Carter, who at age 90 still travels the world supporting the humanitarian endeavors that have consumed his time in the decades since he left office, announced Wednesday he has cancer that has spread to other parts of his body. “Recent liver surgery revealed that I have cancer that now is in other parts of my body,” Carter said in the statement released by the Carter Center. Carter announced on Aug. 3 that he had surgery to remove a small mass from his liver. Connecticut Supreme Court says the death penalty is unconstitutional and bans executions for inmates on death row | 13 Aug 2015 | The Connecticut Supreme Court ruled Thursday that it would be unconstitutional to execute the remaining inmates on the state’s death row, effectively outlawing the death penalty in that state. This decision comes three years after Connecticut abolished capital punishment while leaving death sentences intact for inmates already on death row…This ruling would seem to answer a lingering question since Connecticut became the third state in recent years to drop the death penalty but exempt people on death row from that change. Ferguson protests: state of emergency declared after violent night | 10 Aug 2015 | St Louis County has issued a state of emergency following Sundaynight’s escalation in violence during a demonstration marking the first anniversary of the fatal shooting of Michael Brown. “In light of last night’s violence and unrest in the city of Ferguson, and the potential for harm to persons and property, I am exercising my authority as county executive to issue a state of emergency, effective immediately,” St Louis County executive Steve Stenger said in a statement. St Louis County police chief Jon Belmar will take over the operation of police emergency management in Ferguson and surrounding areas, Stenger said. Man in critical condition after being shot by police in Ferguson | 10 Aug 2015 | A man was in a critical condition Monday after exchanging gunfire with police during protests marking the one-year anniversary of the fatal shooting of Michael Brown by a police officer. St. Louis County Police Chief Jon Belmar told reporters the suspect is in a critical, unstable condition in a local hospital and undergoing surgery. Speaking at a news conference, he said the shooting occurred after plainclothes detectives [agents provocateurs] monitored an individual in the crowd who they believed was armed, and who was believed to have three or four possible armed acquaintances. Texas police chief fires officer who shot and killed unarmed teen | 11 Aug 2015 | An Arlington, Texas, police officer who shot and killed an unarmed college football player has been fired for “exercising poor judgment,” the city’s police chief said Tuesday. Officer Brad Miller lost his job because of the August 7 incident at a car dealership in Arlington, Police Chief Will Johnson told reporters. The officer was in the last stages of his field training when he shot Christian Taylor, 19, multiple times at a car dealership. 7 taken to hospital for carbon monoxide poisoning at Florida Walmart | 09 Aug 2015 | Thirteen people were treated for carbon monoxide poisoning after a 24-hour Walmart in central Florida was evacuated. Orange County Fire Rescue officials say the gas had reached unsafe levels by 4 a.m. Sunday at the Avalon Park store. Fire officials had to wait three hours to enter the building because the CO levels were too high. Fire Rescue spokeswoman Kathleen Kennedy say 13 people were treated for carbon monoxide poisoning. One of Cecil’s cubs is killed by rival male after the lion was slaughtered last month, sparking fears remaining survivors have just DAYS to live | 09 Aug 2015 | One of Cecil the lion’s cub has been killed by a rival male triggering fears that the survivors may only have days to live. The much-loved lion was slaughtered by American dentist [sociopath] Walter Palmer last month, sparking outrage around the world. Now a further tragedy has befallen the pride after one of his cubs was killed by another male as he attempted to mate with its mother. And without a pride leader to protect them, locals fear that the remaining cubs could have just days left to live. El Niño May Bring Record Heat, and Rain for California | 13 Aug 2015 | This year’s El Niño weather pattern could be the most powerful on record, federal forecasters said, while warning that the effects of the weather system are never certain. “We’re predicting this El Niño could be among the strongest El Niños in the historical record,” said Mike Halpert, deputy director of the Climate Prediction Center for the National Oceanic and Atmospheric Administration, in a teleconference with reporters. This year’s El Niño is already the second strongest for this time of year in more than 60 years of recordkeeping, he said. The 36-cent ‘shade ball’ that could save $250 million and keep L.A. water clean | 12 Aug 2015 | Can 96 million balls improve water quality? Los Angeles is about to find out. On Monday, Mayor Eric Garcetti was at the Los Angeles Reservoir to mark the addition of 20,000 of the small balls to the lake. Shade balls are used to protect water quality, prevent algae growth and slow evaporation from the city’s reservoirs. The L.A. Reservoir is the Department of Water and Power’s largest in-basin facility…The shade balls are expected to save 300 million gallons a year from evaporating from this particular reservoir.